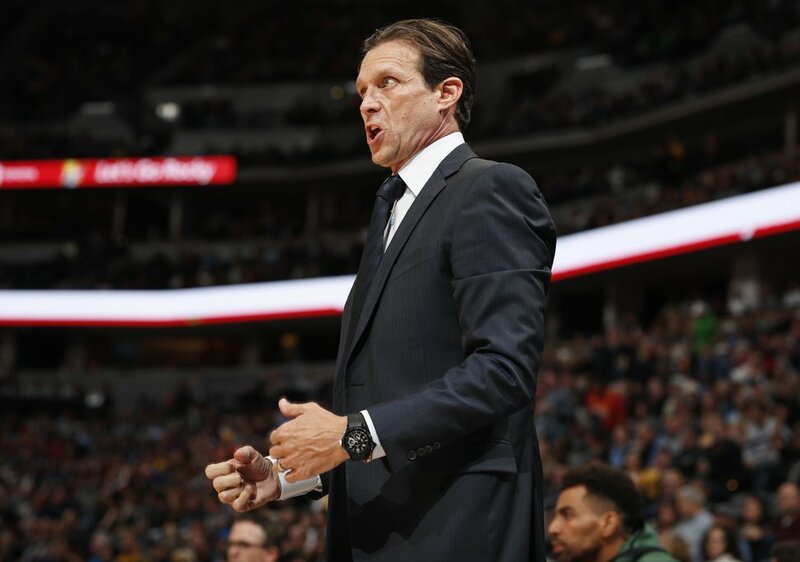 Quin Snyder was coach of the D-League’s Austin Toros from 2007 to 2010, but even though it was — at the least — nearly a decade ago, he still remembers specific plays Toronto coach Nick Nurse ran against Snyder as coach of the Iowa Energy. “Yeah, I still remember an out of bounds play he ran against our zone," Snyder laughed. The two coaches met on Monday night for the first time since their D-League encounters, the first time in NBA history there’s been a meeting of former D-League Coaches of the Year. Both Snyder and Nurse are cut from the same cloth: details-oriented coaches who have found their path from the D-League to assistant coaching to the NBA head coaching ranks. Even at the beginning of their journey to the NBA, though, they found themselves becoming friends, talking and learning from each other in Des Moines and Austin. Coaches often become friends, sometimes out of sheer understanding for each others' situations. 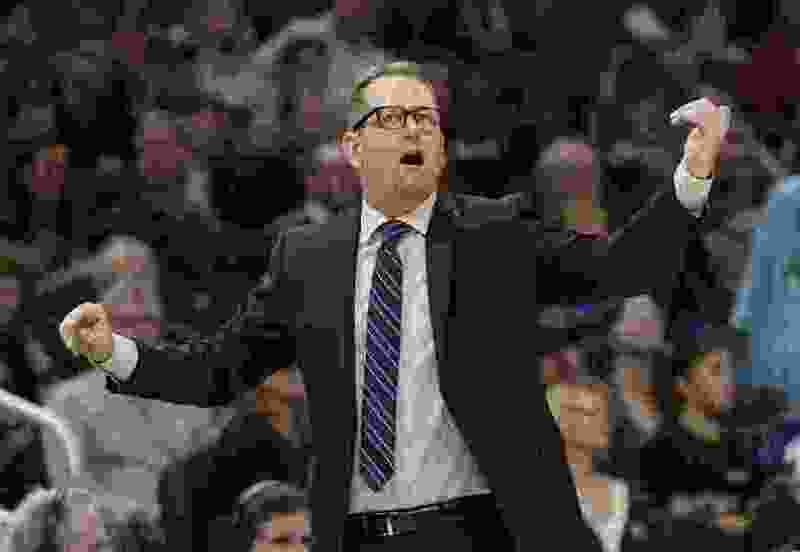 In the NBA, there are only 30 men who really understand the pressures of being a modern NBA head coach. In the D-League in 2007, though, there were only 14 teams; only 14 coaches to know. The D-League then felt even more minor league than it does today: Salaries were only about $15,000 per season, and far fewer players and coaches got big bonuses from an NBA-affiliated franchise. It also involved more player movement than today, according to Snyder and Nurse. But despite the differences, both appreciated the training ground of basketball that the D-League presented, and both coaches are using tactics that they picked up at the D-League level. Nurse, for example, is rotating his starting lineup in a way that mirrors what some D-League coaches do. Though Serge Ibaka picked up a career-high 34 points on Sunday night, he found himself out of the starting lineup on Monday against the Jazz, as Nurse picked Jonas Valanciunas instead. But while the experience may have been lonely — both coaches remembered small crowds of dozens or hundreds of people at best — that also had its benefits at times, too. “One of my favorite things about the D-League was going on the road and losing and having to talk to no one after the game,” Nurse joked as he faced a couple of dozen media members. After Monday’s loss, that’s a perk Snyder wishes he had back, too.